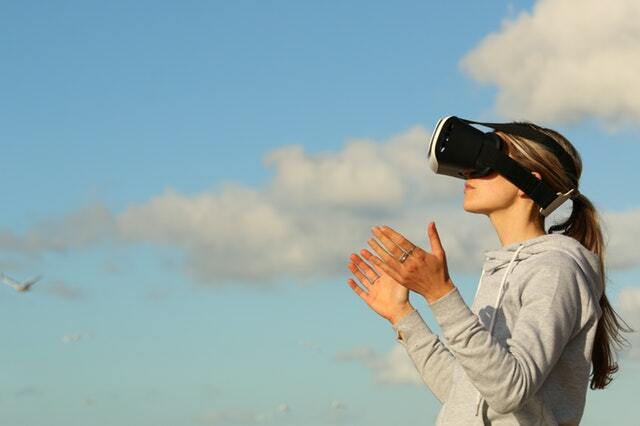 Currently, Virtual Reality experiences has reached great level of presence and immersion. But, what really constitutes a high level of presence in Virtual Reality? The primary reason of high degree of immersion in Virtual Reality is photorealistic Virtual Enviroment and second important reason is how we interact with the virtual environment. In VR/AR industry, currently many experiments of interaction with virtual environment in Virtual Reality are being conducted. Out of these experiments, Hand Tracking technology, Motion Tracking technology are commercially available input tracking tech. Hand Tracking technology has evolved a lot as it is the most common and user friendly way to interact with the virtual environment in Virtual Reality. Hand Tracking technology is not new tech, it was invented decades ago. It is just that this technology proved to be the most User friendly way to interact with your virtual environment. For example, we have Oculus Rift’s constellation sensor which not only tracks hand position in a virtual environment, but also tracks head movements along with accelerometer and gyroscope to avoid any floating point imprecision and provide pixel precise head and hand tracking as well. Hand tracking’s uses predictive algorithms to predict hand movement and provide precise hand tracking. I personally believe AI algorithms can increase efficiency and tracking of these Hand Tracking devices. There are other Hand Tracking tech available in the market which works pretty well with Virtual Environments. One of my favorite is Leap Motion hand tracking. The heart of the Leap Motion device consists of two cameras and three infrared LEDs. These track infrared light with a wavelength of 850 nanometers, which is outside the visible light spectrum. the device has a large interaction space of eight cubic feet, which takes the shape of an inverted pyramid?—?the intersection of the binocular cameras’ fields of view. Hand Tracking Technology is still under research and its getting complex in the backend, and the complexity is improving the tracking precision. Take Microsoft Hololens for example, it is already using inside out tracking which provides frame by frame real time hand tracking with high precision, in return of high cost of device. Mobile Virtual Reality is yet to receive the Hand Tracking Tech as its quite CPU/ GPU intensive but there are startup’s and Mobile Virtual Reality manufactures which are currently researching less CPU/GPU intensive ways to integrate hand tracking in mobile virtual reality. With some hacks and few lines of code, you can get the Leap Motion to work with the Gear VR for now, if you are really enthusiastic to integrate Hand Tracking Tech with Mobile Virtual Reality. Stay tuned for Motion Tracking Tech in Virtual Reality.